There are thousands of working individuals with disabilities. Majority of them struggles to cope with common stereotypes when they should simply embrace them and prove the world wrong. Most people don’t understand that they should be helping disabled individuals, not mocking them and making their lives miserable. As someone with an injury, it is your job to help everyone around you understand your condition. Instead of fighting it, you should embrace it. Here are a few reasons why you should embrace your disability at the workplace and how to do it. People are inspired by incredible deeds and acts of bravery. It is no secret that most workplaces in California need a bit of motivation. You could be that for your coworkers. Showing them that you can achieve the same things they can, regardless of your disability, could inspire them and increase their overall performance. Giving your maximum, even when at a disadvantage, will definitely bring you some good results. Your coworkers will look up to you, learn from you, and receive their daily dose of inspiration every time they lay their eyes upon you. Simply give it your best shot. Think positive, and keep the “if they can do it, I can do it” attitude. Don’t let anyone tell you that you can’t. Believe in yourself and in the things you can do. No matter how hard it may get, you have to keep pushing forward. Don’t let anyone discriminate you because of your disability. If they ever do, contact our Disability Discrimination Attorneys in Los Angeles and let them help you deal with it in the “legal way”. No one will expect you to overperform. That is your greatest strength. With zero expectations turned towards you, just imagine everything you can achieve. Don’t let yourself become just another disabled employee. Instead, achieve greatness through a positive mindset. Our legal experts offer a free consultation to everyone in need. All you have to do is give Rager Law Firm a call and we will help you with anything of the above listed. 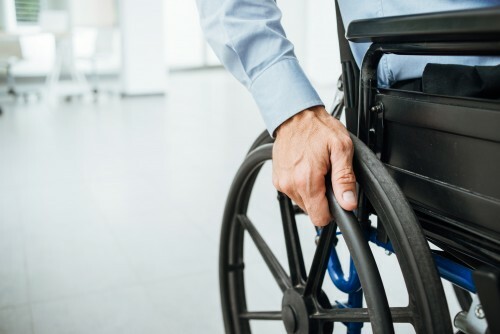 If you are being discriminated by your coworkers or your superiors, get in touch with our Los Angeles Disability Discrimination Attorneys. They will help you file a discrimination claim, and help you receive a substantial compensation in a timely manner. As hard as it gets, you have to remain positive and think about the future. Let the past stay in the past, and focus on new victories. You know what you are capable of, and don’t let anyone tell you otherwise.